A creamy rim turns pale green, then foaming, running white, and then gathers green depths and richness as it flows down into the body of this short, pot bellied coffee mug. 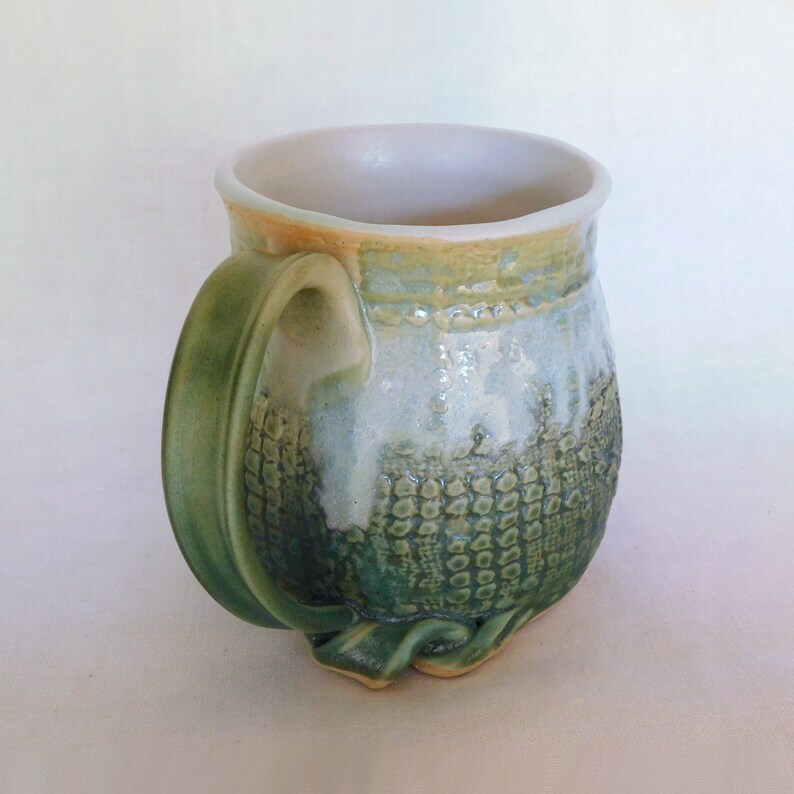 This lace textured, 16 oz stoneware pottery mug has a large handle that fits a full fingered grip. The interior has been glazed in a white glaze. There were three mugs made in this pattern. One of them has been highlighted in the pictures. But they are all very close in colors and lace pattern. 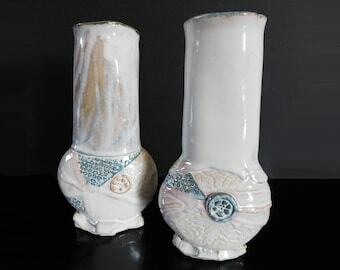 Although the glaze runs are not exactly the same. The mug has a rim diameter of 3 1/2" (9cm) and a height of about 4 1/4" (10.8cm) and it holds 16 ounces.